The following is excerpted from the New York Times. To read the full article, click here. But Mr. Trump is far from the only Republican willing to discriminate against Muslims. BuzzFeed News reported in April that since 2015, Republican officials in 49 states have publicly attacked Islam, some even questioning its legitimacy as a religion. The only exception? Utah. 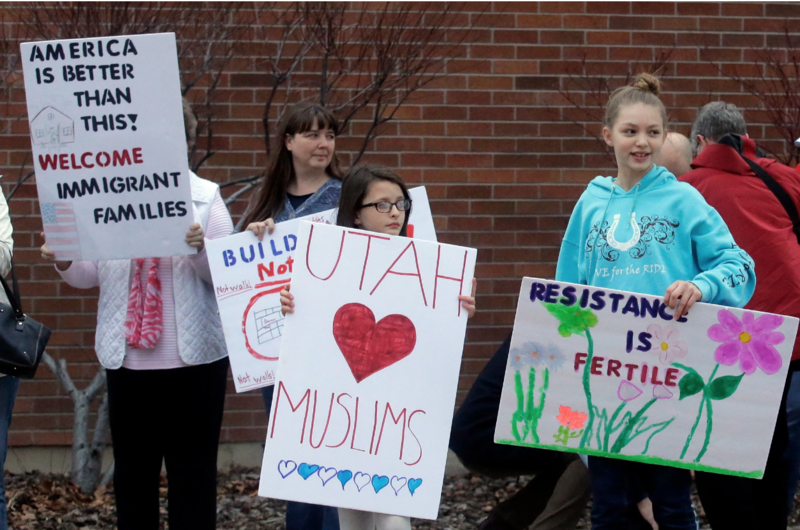 In that state, where a majority of residents is Mormon, members of the Church of Jesus Christ of Latter-day Saints, elected officials seem to have a deep understanding that an attack on the religious freedom of one group is an attack on the religious freedom of everyone. The rest of the nation should follow their example. Pointing to this history of Mormon persecution, in 2017, a group of scholars with expertise in Mormon history filed an amicus brief in the United States Court of Appeals for the Ninth Circuit opposing the ban. I can’t agree at all with this article from your “PC Correct” Islamophobic title. The first mistake is publishing anything from the New York Times. Second, it was not a discrimination based on Muslims but what countries they were coming from that support terrorism since Muslims from other countries could still come in. I almost find it amusing when people try to equate the discrimination against Mormons as the same as Muslims. Last time I checked Mormons were not blowing up people in the name of their religion but maybe I missed that part about Joseph Smith. Let’s see what would happen if there was a play called “The Book of Muhammad” on Broadway or for that matter in Dearborn Michigan. We just had the leader of the Nation of Islam call for the end of all white men. The scriptures say “by their fruit, ye shall know them” apparent some of that fruit is rotten. Does the Quran really contain over a hundred verses promoting violence? The Quran contains at least 109 verses that call Muslims to war with nonbelievers for the sake of Islamic rule. Some are quite graphic, with commands to chop off heads and fingers and kill infidels wherever they may be hiding. Muslims who do not join the fight are called 'hypocrites' and warned that Allah will send them to Hell if they do not join the slaughter. So why do we not hear anything from the Muslims refuting what their religion demands they do to us? Yes, we can offer them asylum and kindness, but not if they are waiting to harm us and our families.